We have a wonderful festive treat for you! 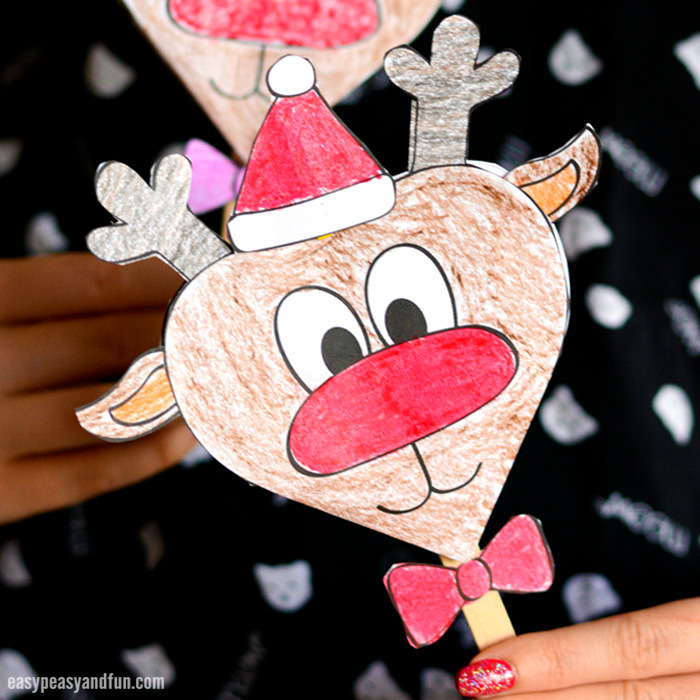 If you are looking for the sweetest handmade card, this paper reindeer craft with printable template is the cutest. 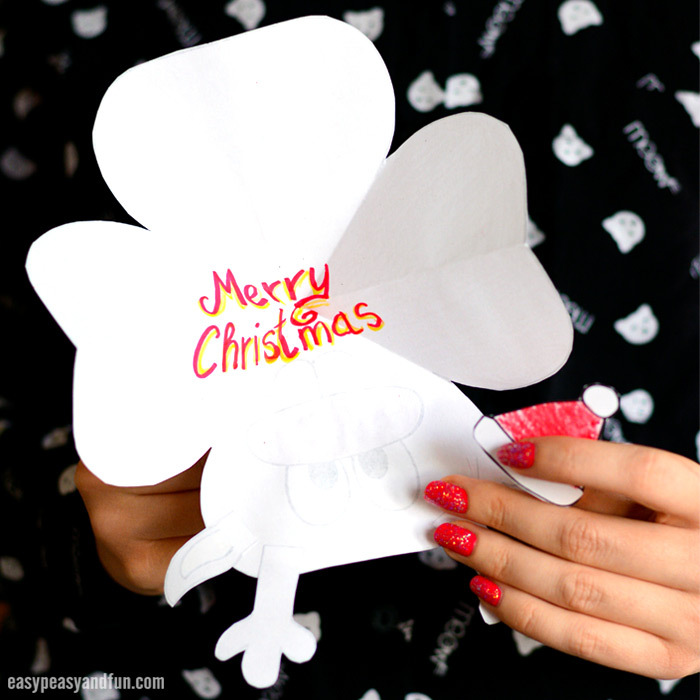 Have the kids color in the template, or trace it on paper and design their own, fold it and give it to family and friends for holidays. 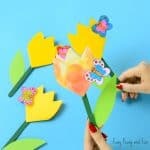 These “pop open” cards are our favorite, the heart shaped flower craft we did a while a go, was a hit so more fun designs were in order. 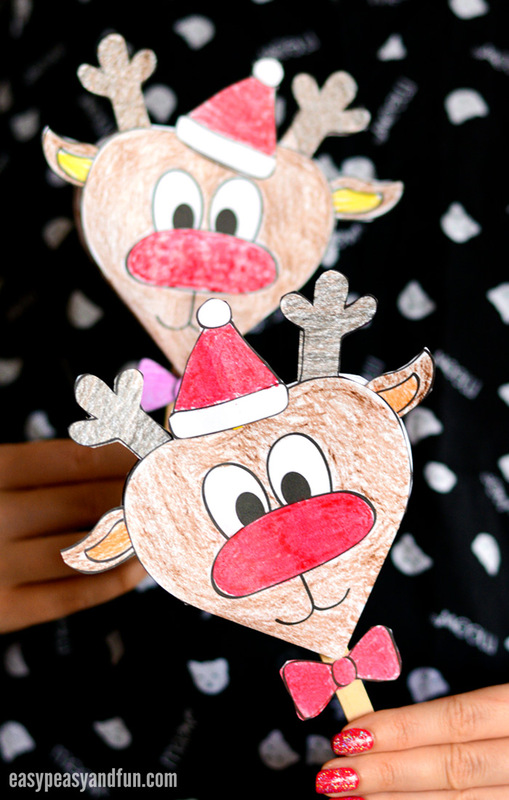 As Christmas time is the best time to hand out cards (or crafts with a message) a reindeer design just had to be done. 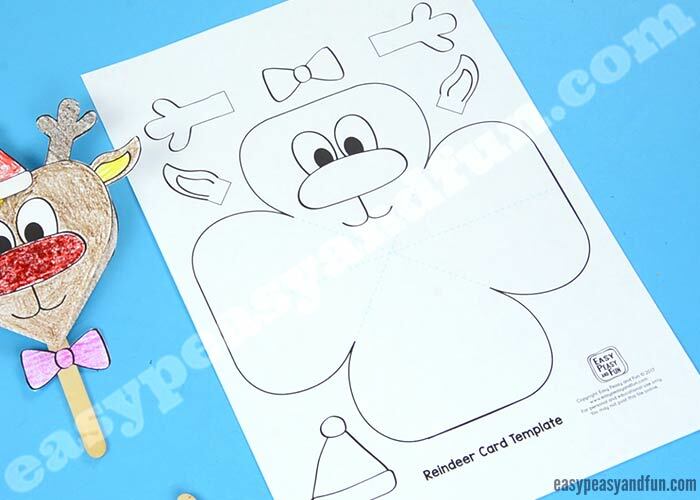 You can color this fellow to be a regular jolly deer, or by coloring the nose red (and adding some glitter even) turn it into Rudolph the red nosed reindeer. Either way this one is sure to impress. 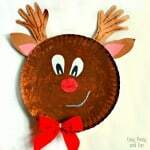 I designed a simple template, that can either be used as a stencil and have the kids design their own reindeer face, or they can color it in and use it as is. I also hope they will be inspired to design their own festive (or other characters). 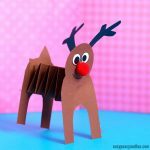 Let’s do some Christmas crafting! 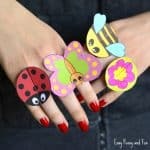 Color in all the parts. Cut out all the parts of the template. 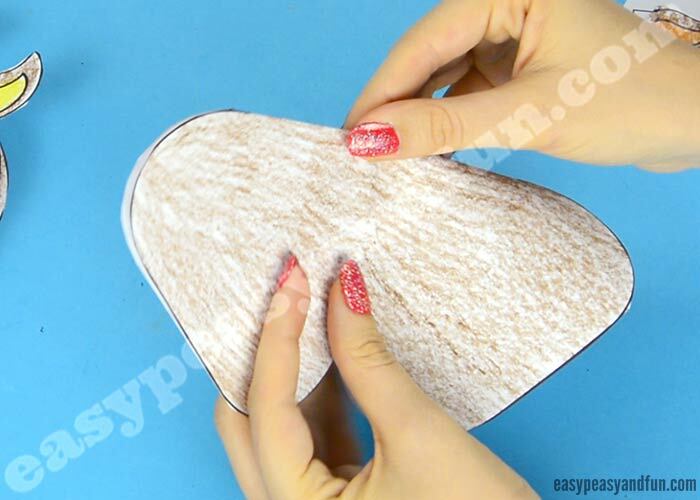 Fold along the dashed lines on the template. Next step is a bit tricky to explain (best to watch the video tutorial posted above). There were two diagonal folds – and one horizontal. Focus on the horizontal fold – you need to tuck it in. You need to push both sides inside. You should see a face shape. Write your message in the card (we did it after we glued the craft stick on, which wasn’t the best choice ;). Apply glue on one end of craft stick. 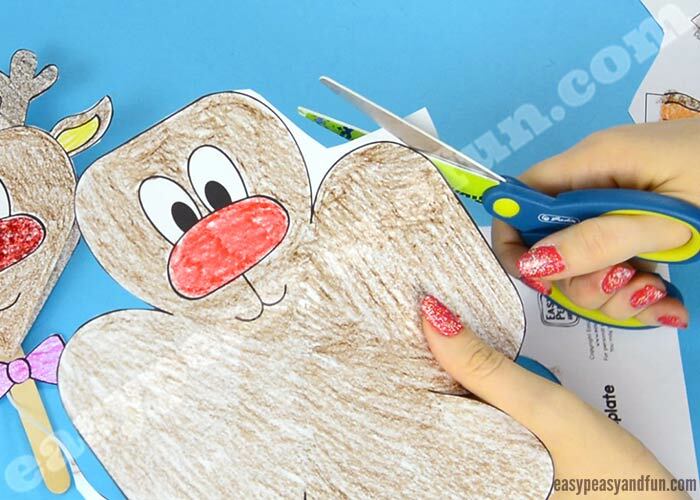 Glue it on the back of the reindeer head. 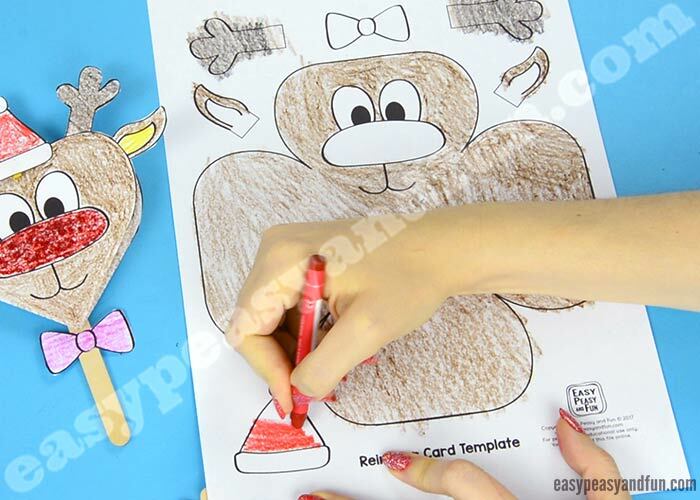 Time to decorate your reindeer. Glue the bow under the head, on the craft stick. 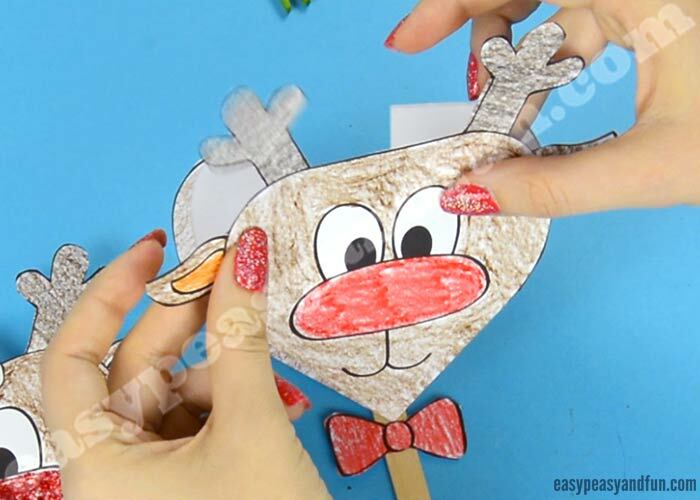 Glue antlers and ears inside the paper craft. Last detail is the Christmas hat. 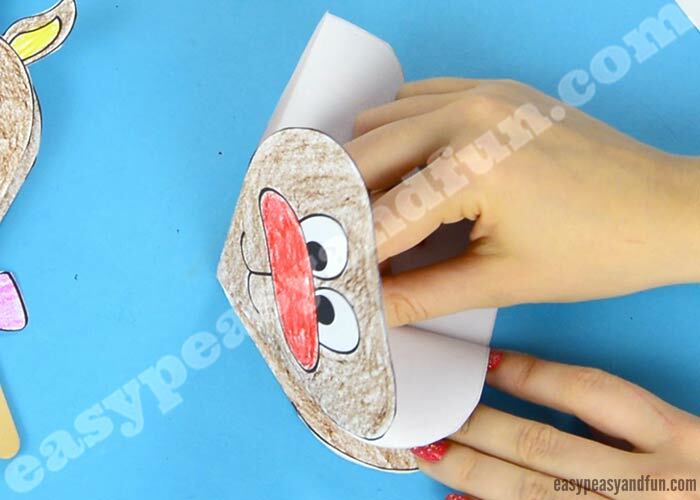 This hat is what makes this card so fun – as it will hold it closed until the reciever opens it up to read the message. 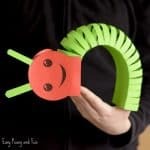 Glue it on a mini clothespin (regular glue) or on a paper clip (with clear tape). Close up the card and clip on the hat. can not wait to get started. My wee one loves your craft. highly recommend to everyone. I am a subscriber but I have not been emailed the template to use. Please help!